A favorite summertime food is corn on the cob. Corn has a dazzling array of health benefits, like the ability to help prevent of heart ailments, controlling diabetes, and lowering hypertension, according to Organic Facts. You can boil corn on the cob, throw them in the microwave, or grill them for your next barbecue. Or you can take it up a notch with a new preparation method that was shared by Your Nation News. You will need just two things: butter and milk (and the corn, of course)! 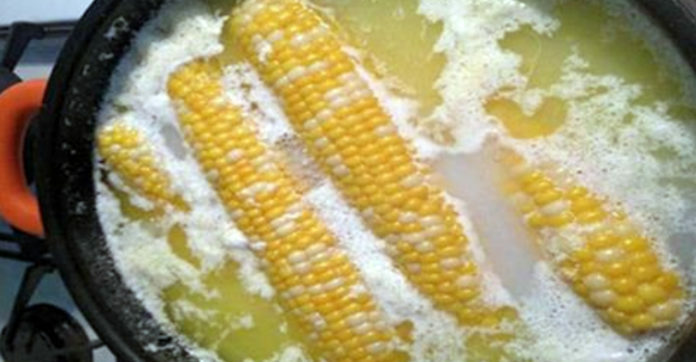 While you have the corn boiling in water, just add a splash of milk and a few pats of the butter. The melted butter and milk will seep into the corn kernels as they cook and give them a rich and creamy flavor! If you add the butter to the water, you may not need to add any extra once the corn comes out!